I may not always be completely happy with the idea of high-sugar foods, mainly because they spike my insulin levels and leave me to crave more and more sugar until I’m a pimple-faced potato… not to mention the rip-roaring effects it has on my digestive system. However, I do think that being afraid of all types of sugar is as much unnecessary as it is impossible (especially if you have a bit of a sweet tooth). Even foods that aren’t strictly considered ‘sweet’ contain sugar, such as breads and other wheat-based products – so the best thing for you to do is make smart, healthy choices when it comes to the sugar in your foods. Despite most nutritionists claiming natural sweeteners like honey and maple syrup are just as bad for us as refined, white sugar, I struggle to see how these are comparable. After all, for me, it’s all about the process of how it goes from the ground/plant to my plate. For instance – I much prefer drinking whole milk as it’s gone through fewer processes and therefore hosts a greater nutritional profile. It’s also important to have a sugar that has a low glycemic index, so that you’re not craving more sugar on top of the sugar you just consumed. This is something refined white sugar (namely high fructose corn syrup) has become known for. That’s why I’m all for maple syrup and honey – maple syrup in particular – as healthy refined sugar alternatives. Maple syrup is as natural as anything, with its process beginning from the Maple Tree. Here the tree’s sap is sucked from the tree and evaporated in a vat, turning it into a thick syrup. And that’s about it. Because the syrup has gone through so few processes, the minerals and antioxidants originally found in the maple tree’s sap are transported right back into the syrup. If the maple syrup was as heavily processed as refined sugar (with affination, carbonatation and heavy boiling some of the main stages) these nutrients would deplete or be removed completely. For instance – 100g of maple syrup contains 7% of your RDA Iron, 28% of your RDA of Zinc and a whopping 165% of your RDA Manganese. The same certainly cannot be said for refined types. Having said this, maple syrup is largely sucrose (2/3rds to be exact) and should definitely be eaten in moderation. When compared with refined sugar, and even some sweeteners, however, maple syrup is a much better alternative. Not only will it cut the total sugar content by a third (when compared with table sugar), but it will also not send your sugar levels sky-rocketing like sweeteners would (the GI of maple syrup is around 54, whilst sweeteners can contain up to 70). Will Golden Syrup Affect My IBS More Than Maple Syrup? I was a little worried about this batch of flapjacks I received from Flaxjacks last week, mainly because of the demonic ‘golden syrup’ (the refined product of sugar cane) labelled in the ingredient line-up. However, I opted to give them a try and was pleasantly surprised. I think the only reason these flapjacks didn’t affect me in the same way traditional flapjacks do is because they weren’t fat-dense due to their zero butter content, had a healthy amount of whole rolled oats, and were also packed with digestive-friendly seeds such as linseed, flax seeds, quinoa and scrumptious natural fruits like dates. 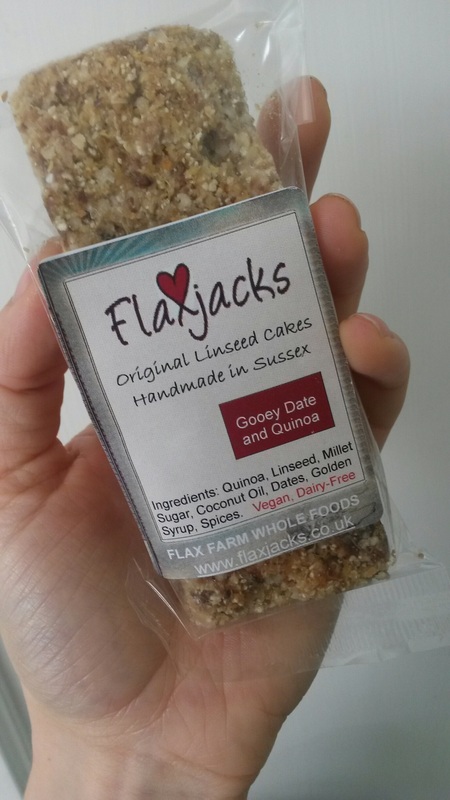 In terms of this, I was able to digest these flapjacks much better than traditional types and this proved very welcoming to my tastebuds (as they not only had healthy contents, but they tasted fantastic!). Although, just because I tried these golden syrup Flaxjacks doesn’t mean I’ll be wholeheartedly returning to the refined sugar world. Only when excellent ingredients push the sugar content right down do I try them, and, wherever possible, I’ll still aim to look for a natural sweetener alternative, like my trusty maple syrup. Previous Entry What Is The Difference Between ‘Organic’ & ‘Natural’ Foods?